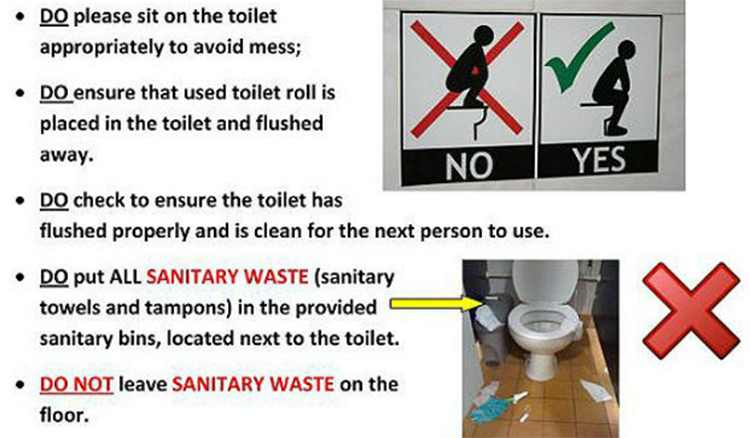 A top UK university has put signs around their buildings, explaining how toilets work. The University of Sheffield is regularly mentioned as one of the top universities in the UK, and has some of the brightest students around. 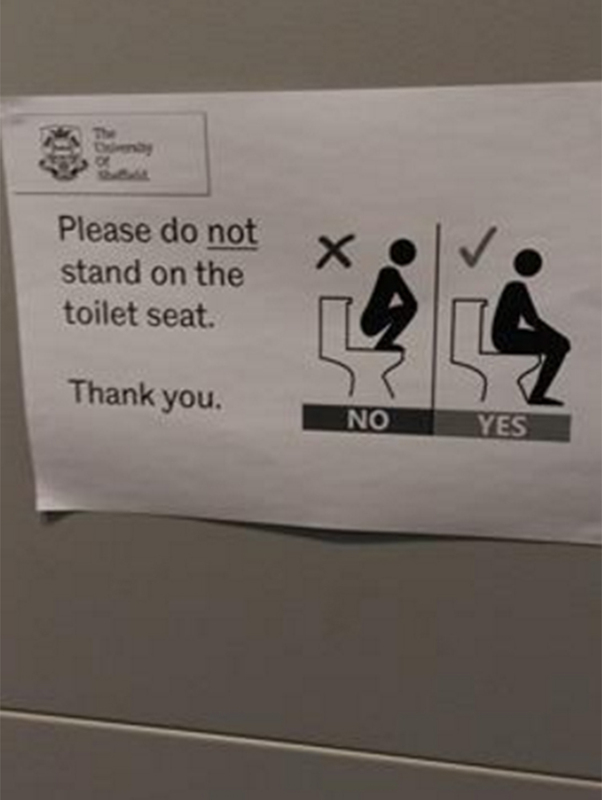 But the University has felt the need to put up an extremely simple sign in their toilets, explaining how to go number two, specifically drawing attention to how you shouldn't stand on the toilet. "Please tell me this is a joke"
The signs, spotted around Sheffield, explain basic toilet tips and techniques techniques, such as "put toilet paper in toilet" and "please sit on the toilet". If that wasn't clear enough, many of the signs included useful infographics. Some also demonstrate the rules through extremely clear infographics. Similar signs spotted at Swansea University. 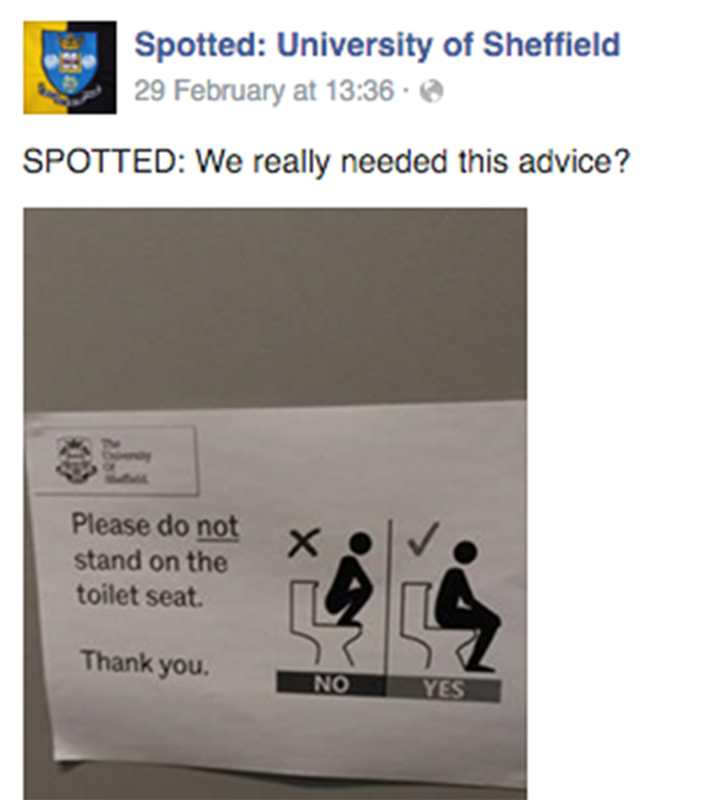 Students who spotted the signs posted images of the signs to the group Spotted: University of Sheffield, where opinion on the sign was split between "please tell me this is a joke" and people who thought that yes, these signs were completely necessary. The Russell Group University began putting the signs up around campus after cleaners complained about the mess. 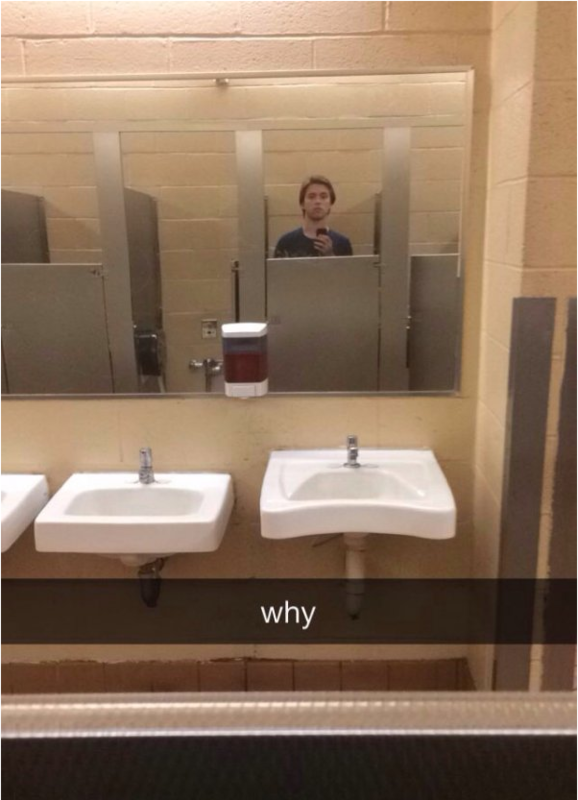 "The toilets have been left in an awful state. It's pretty disgusting and the cleaners have had enough. There's only so much they can take." "These cards are clearly designed for international students. But they're all over campus - and it's raising quite a few laughs." "I've seen the signs being discussed on a uni Facebook site, but I thought it was a bit of satire. I had no idea they were real." The University of Sheffield declined to comment.